It may have been a long time since the U.S. built the world's best cars, but nobody can touch us when it comes to spacecraft. 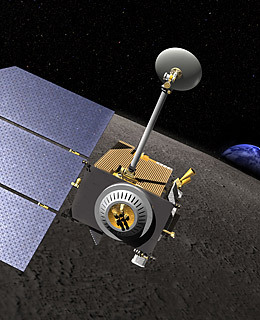 nasa is about to prove that again with the planned launch in February 2009 of the Lunar Reconnaissance Orbiter (lro). Our first unmanned moonship in 11 years, the lro will study the things lunar orbiters always study  gravity, temperature  but it will also look for signs of water ice, a vital resource for any future lunar base, and compile detailed 3-D lunar maps, including all six Apollo landing sites. Wingnuts, be warned: yes, we really went there.